The automotive market will face radical change in 2030, according to research by PwC. As a result of novel sharing concepts, the stock of cars could fall from 280 to 200 million in Europe and 270 to 212 million in the United States. China, in contrast, is expected to see its vehicle inventory rise to 280 million vehicles in 2030, up from 180 million today. The PwC report – “Five trends transforming the Automotive Industry" – outlines a series of seemingly contradictory findings. For example, while vehicle stock could fall dramatically in Europe and the US in 2030, traffic on the roads will become even heavier. And although the number of new registrations will rise considerably, many conventional manufacturers and suppliers will come under pressure. “This picture only appears to be contradictory. This automotive revolution will see many rules that the industry has become accustomed to over many decades being turned on their head,” says Felix Kuhnert, PwC’s Global Automotive Leader. 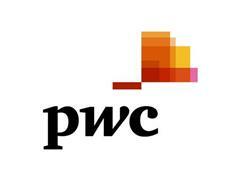 Of particular importance here is the growth of low-cost sharing concepts predicted by PwC. As a result of this development: “In only a few years’ time, today's norm where most people drive themselves in their own vehicle will only be one mobility concept among many,” says Christoph Stürmer, Global Lead Analyst at PwC Autofacts. The PwC study anticipates that as early as 2030, more than one in three kilometres driven will be under one of the many forms of ‘sharing’. This trend towards ‘sharing’ will be coupled with two megatrends in automotive technology – the electrification of drive systems and huge advances in the development of self-driving cars. Under PwC’s scenario, by 2030, 55% of all new vehicles may be electric cars, while the conventional combustion engine will slowly die out. Developments in Europe and the US are expected to happen at a roughly parallel pace. In China, by contrast, the penetration of shared and autonomous mobility will happen faster than in the Western world. This could make China the leading market for the transformation of the automotive industry. Taken in combination, the various megatrends will mean that road traffic as a whole will change radically. With more and more people turning to car-sharing models, there are likely to be far fewer car owners by 2030. However, at the same time individual traffic will increase massively. Personal mileage in Europe could rise by 23% by 2030 to 5.88 billion kilometres. Forecasts predict an increase of 24% in the US and 183% in China. Aside from population growth, one of the reasons for this is that self-driving vehicles will also be used by people who cannot drive today themselves. Another reason is that the development of fully-autonomous cars means that there are likely to be empty trips, because clearly the ‘robotaxis’ will have to travel from A to B to collect new passengers. “The roads will definitely become more full”, says Christoph Stürmer. Nevertheless, he does not anticipate chaos – quite the reverse: “Thanks to increasing connectivity, individual traffic will be much easier to organise in the future.” Consequently, the PwC study describes the fourth megatrend as ‘connected’, in addition to the other ‘electrified’, ‘autonomous’ and ‘shared’ megatrends. One-third more new registrations by 2024 – but who will benefit? What does this trend mean for manufacturers and suppliers? The PwC scenario assumes that the number of annual new registrations in Europe may increase by one third to more than 24 million cars by 2030; this would be the only way to compensate for the higher wear and tear on cars due to car-sharing concepts. For the US, PwC Autofacts assumes that there could be growth of 20% and new car sales of almost 22 million in the year 2030. For China, a rise of over 30% to 35 million units sold is expected. This large volume will require car manufacturers and suppliers to make additional investment in new production and development capacity – for new, highly specialised vehicle concepts at much lower prices. “Automotive groups and their suppliers will have to make critical decisions in the years ahead,” believes PwC’s Christoph Stürmer. On the one hand, while they will have to contend with falling margins – mainly due to pressure from the major fleet operators – at the same time they will have to significantly increase their investment in new factories, electro-mobility and the other megatrends. To download a copy of the report, visit www.pwc.com/auto.